See past the aesthetics of a vehicle and learn about the mechanical beauty of how it works. Learn how to change the future of motor vehicles and the current environmental challenges the industry faces in today's commercial climate. Equip yourself with the skills needed for a wide range of careers in the automotive industry. 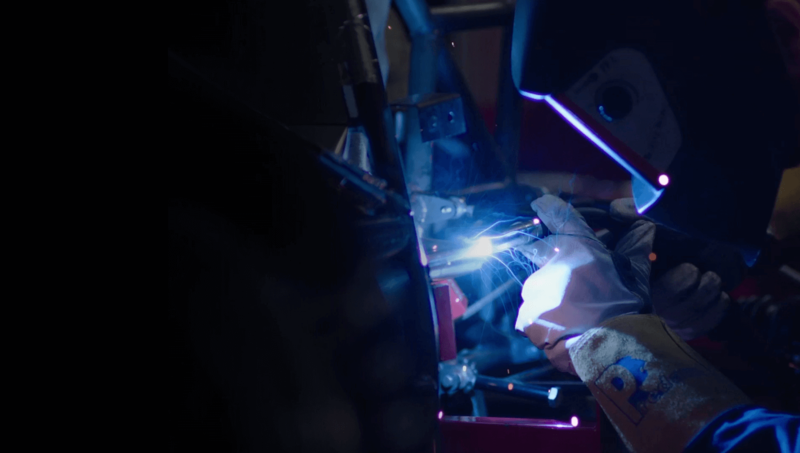 This course will equip you with the skills you need to be an accomplished Automotive Engineer. In your first year you'll develop an excellent foundation in engineering, and then from the second year you will specialise in vehicle systems. We host the Institute for Automotive and Manufacturing Advanced Practice (AMAP) which has allowed us to forge excellent links with many local industrial companies including the Nissan plant and its supply chain, among others. Please contact us to discuss part-time options. Teaching methods include lectures, seminars, group work, laboratory projects and e-learning. We encourage you to develop independent study skills. You will also have opportunities to present ideas to other students and develop concepts within groups. As well as assessments that count towards your degree, there are also on-going assessments for feedback and consolidating your learning. Assessment methods include exams, coursework and projects. Our specialist facilities include laboratories for electronics and electrical power, and robotics and programmable logic controllers. We also have advanced modelling software that is the latest industry standard. In addition, the University is the home of the Institute for Automotive and Manufacturing Advanced Practice (AMAP), which builds on Sunderland’s role as a centre of excellence in the manufacturing and assembly of cars. which must include Maths or Physics. Recent graduates have secured graduate jobs that pay around £28,000 a year, with companies such as McLaren Automotive, General Motors and Nissan. Sunderland has a good reputation with employers. Our recent graduates have gone on to work for companies such as McLaren Automotive, General Motors, Jaguar, Perkins Engines and Parametrics Technology. Other graduates conduct research within major automotive manufacturers such as Ford, Vauxhall and Nissan. To further enhance employability we encourage you to apply for a 48-week placement where available between your second and final year. Placements are subject to availability and interviews are required. They are usually paid, with past students having earned an average salary of £14,000-£18,000 a year depending on location. Examples of companies that have offered placements to Sunderland students include Jaguar, Vauxhall, Nissan, Caterham Cars, Cummins Engines and Tata Steel. People too often think of engineers as working on a production line and that simply isn’t true. The skills I acquired in my degree and as part of the Formula Student Team have proved invaluable. I am two years out of university and one small step away from management level.